We’ve been doing a lot of weddings this season in Fife, must be because there are so many beautiful venues. Saturday was Justines turn to get hitched and she was doing it to her 6ft7 ex rugby playing boyfriend on the Cambo Estate. We found a new sushi bar in St Andrews and were lucky enough to find a bench right outside so parked ourselves there and took in the sunshine. 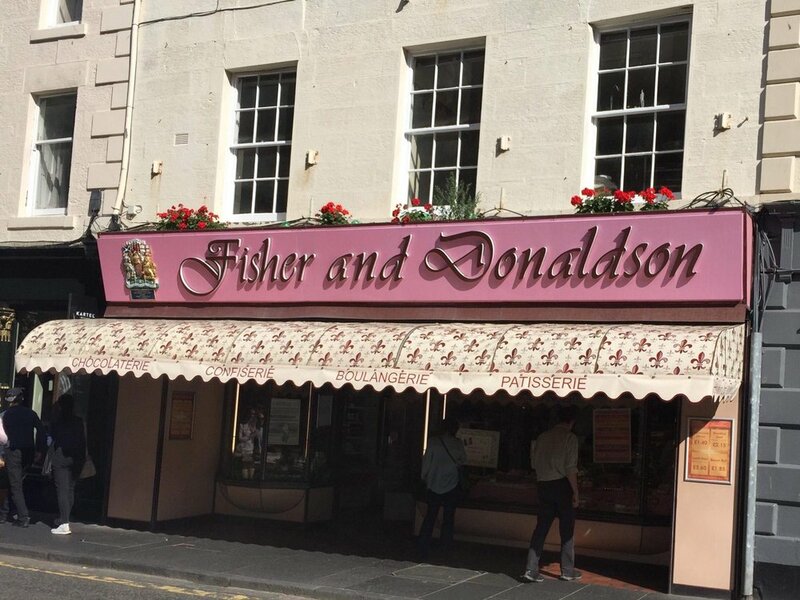 Our next stop was an old favourite Fisher & Donaldson, it’s an amazing bakery! (Monica even had a job there as a teenager in their branch in Cupar). If you’re reading this Justine we can blame you for igniting our desire for cake after you showed us pictures of your wedding cake! And if anyone has tips on good restaurants around that area please let us know for future use! Only got 1 bridesmaids photo, we both had hair envy!